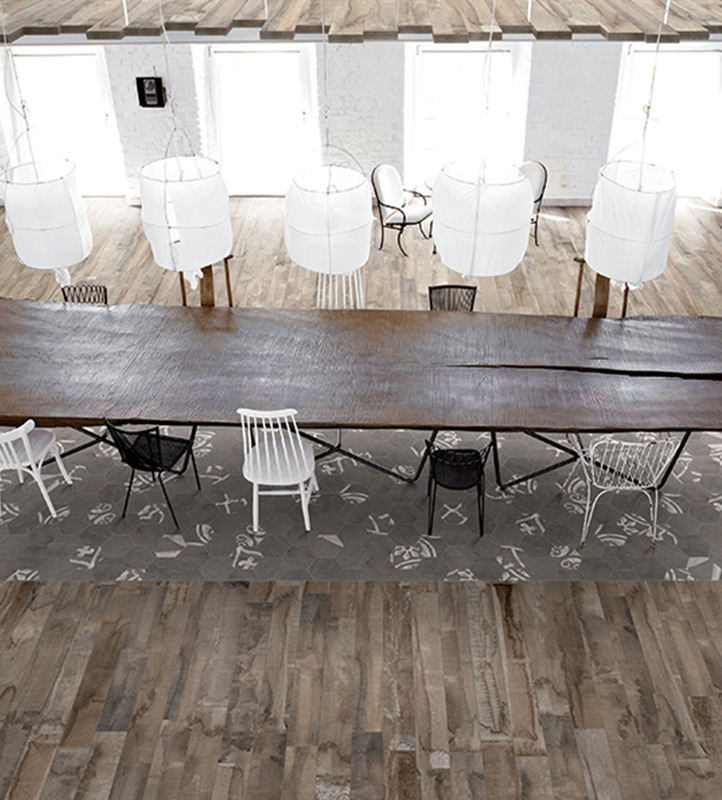 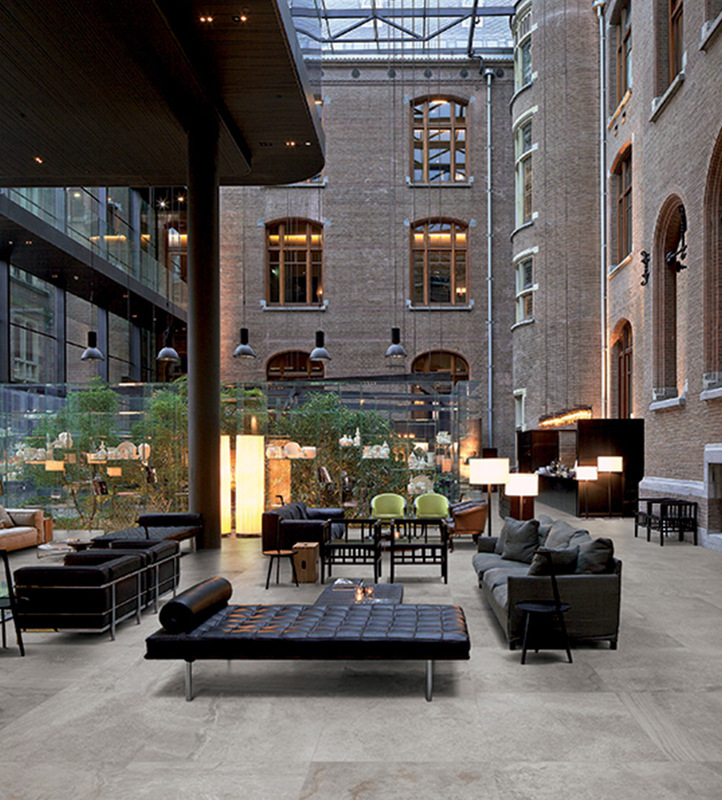 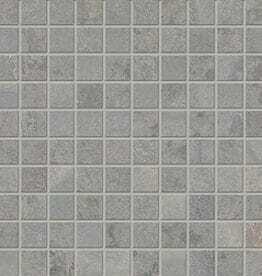 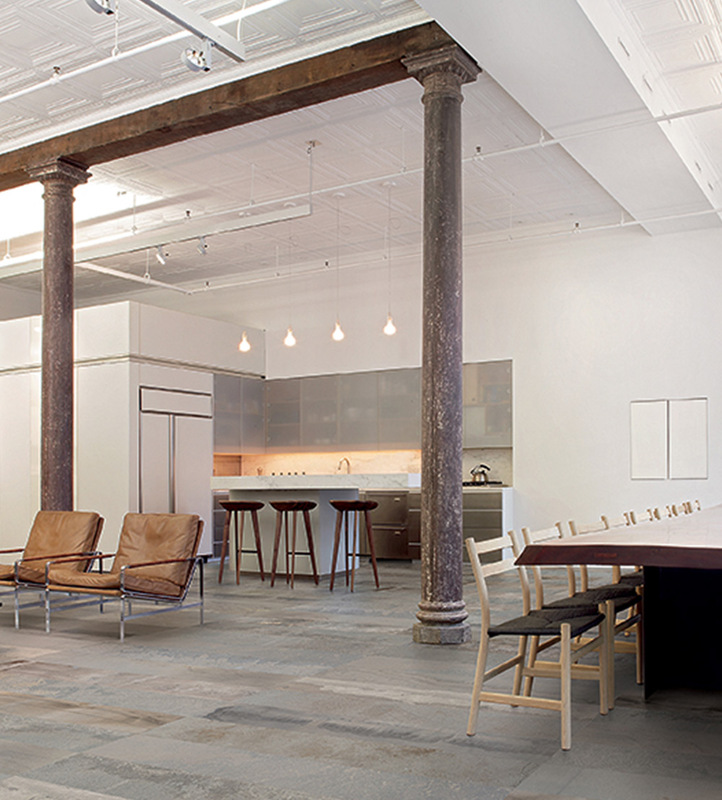 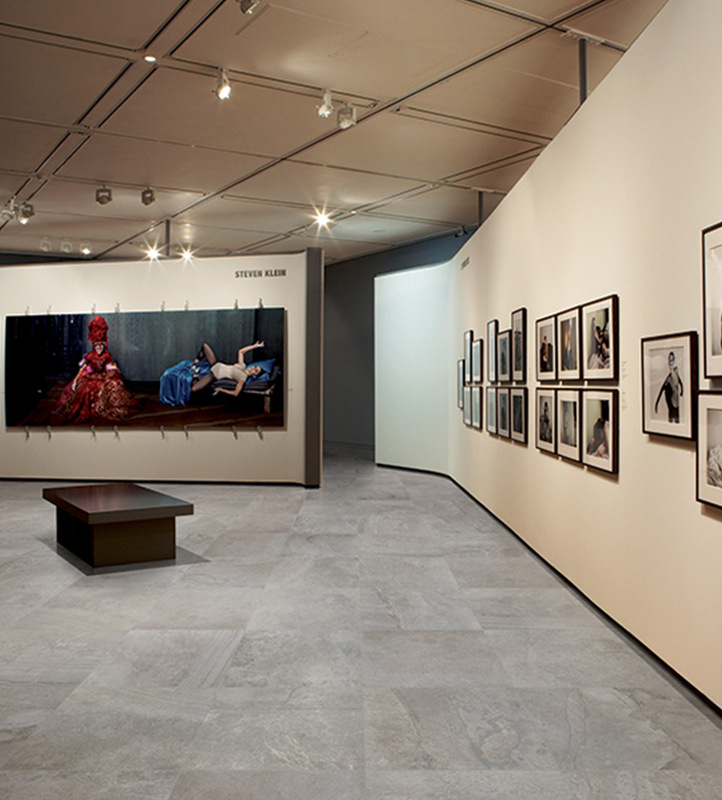 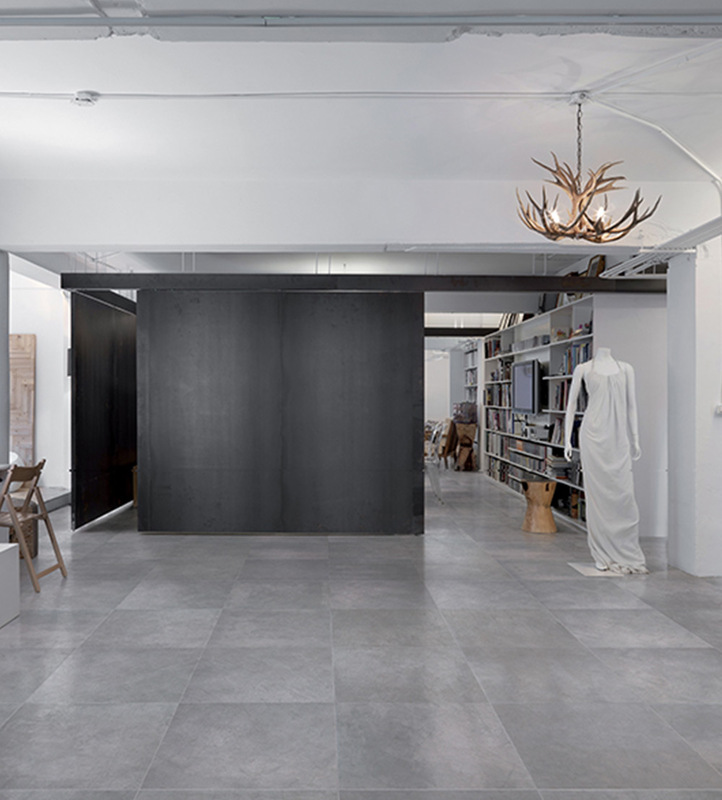 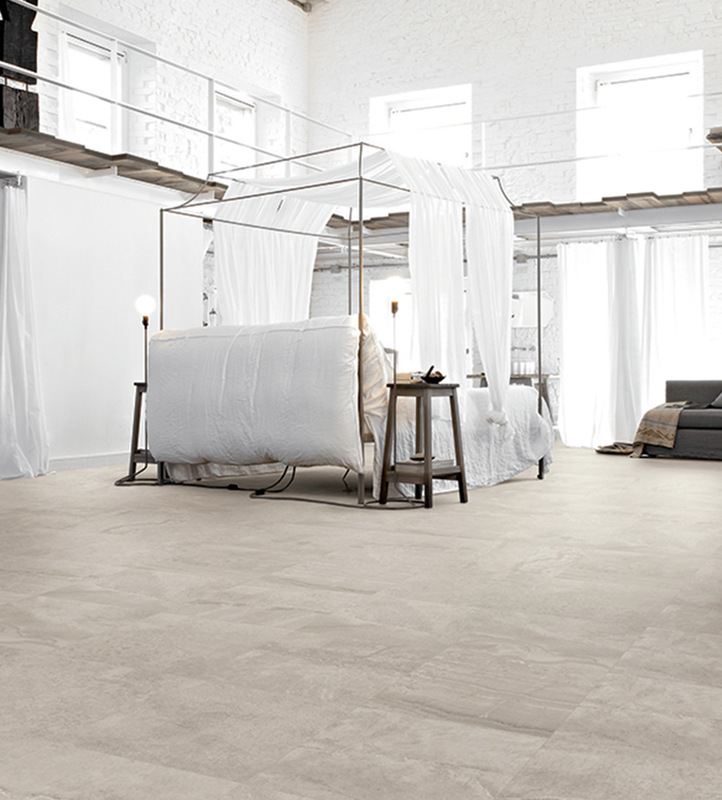 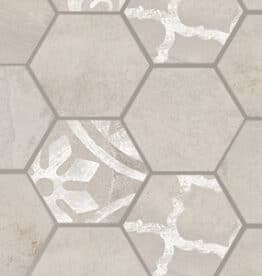 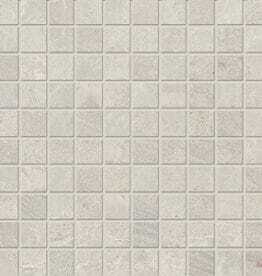 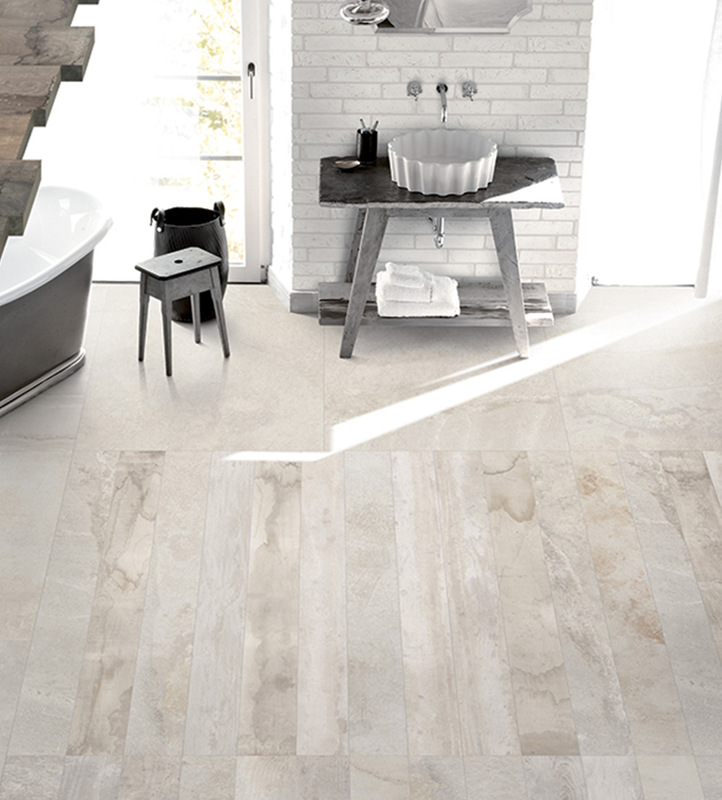 In-Essence is a series of ink-jet porcelain tile that references the past while offering a modern product. 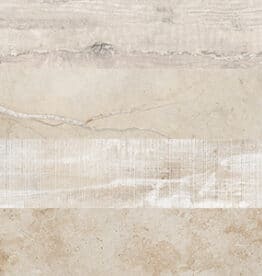 Inspired by the layered, worn look of salvaged materials, the series takes its aesthetic cues from natural stone, industrial cement found on factory floors and the turn-of-the-century advertisements that were once painted on buildings. 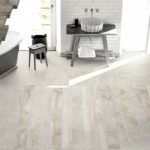 Its rectified edges give it a modern appearance. 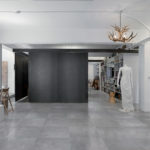 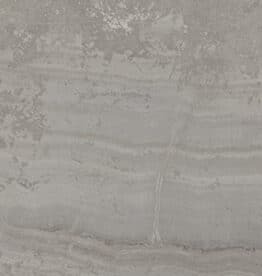 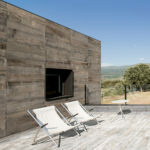 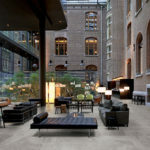 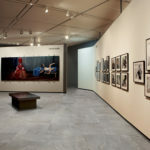 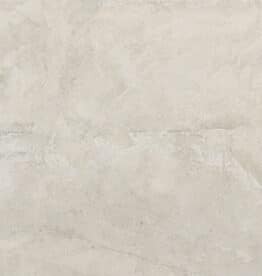 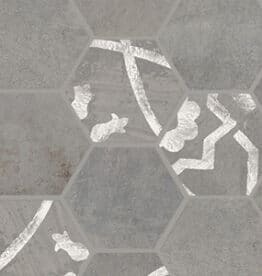 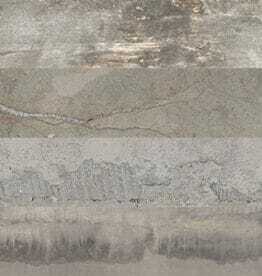 Composto Grigio and Composto Sabbia are field tiles that reproduce the imperfections and patina that are typical of worn natural stone that has been repaired with cement. 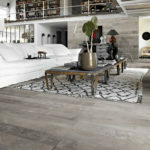 Noce Ossidata and Quercia Ossidata mimic the look of aged wood including tannin stains and the dings and scratches that might be left by tools. 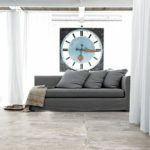 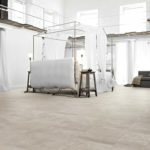 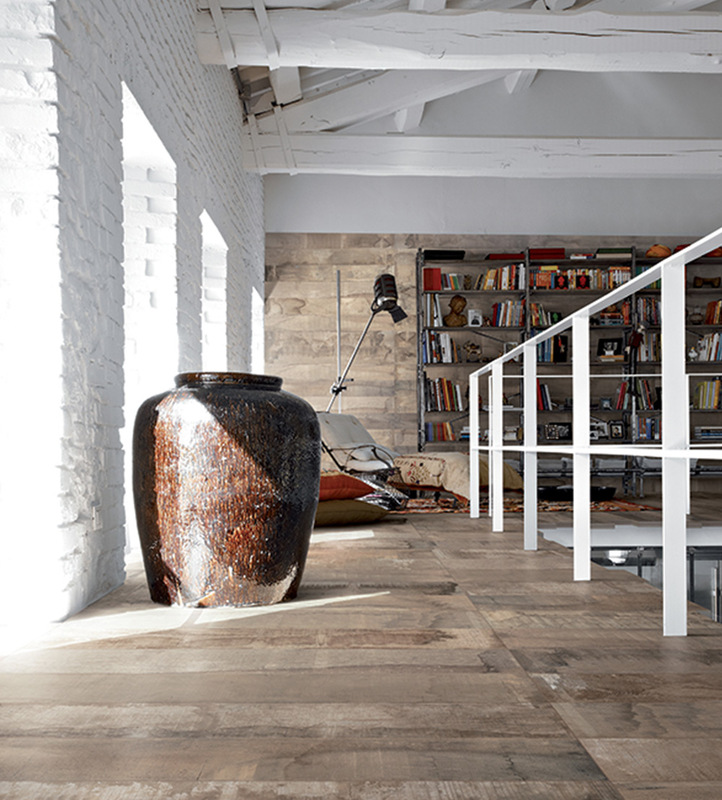 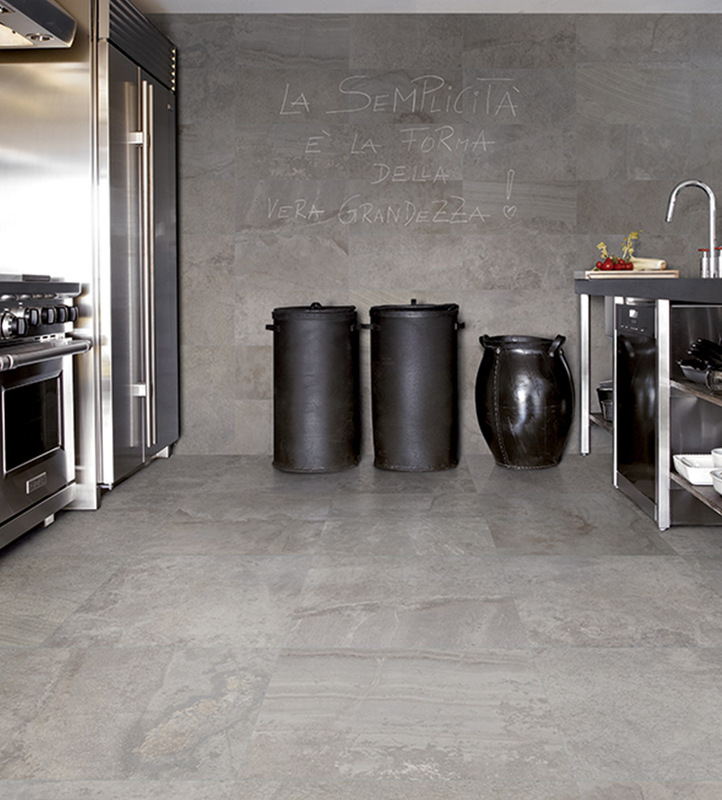 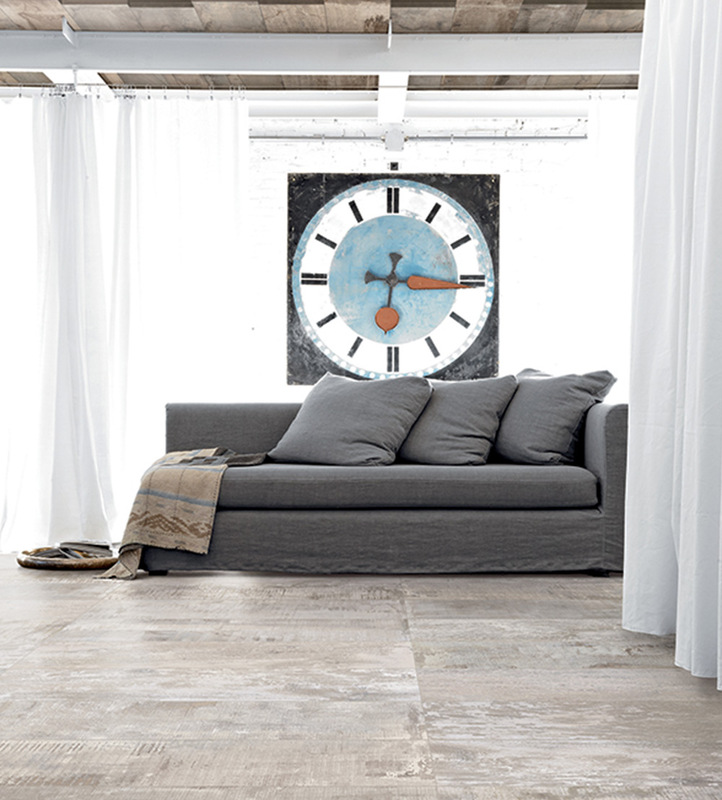 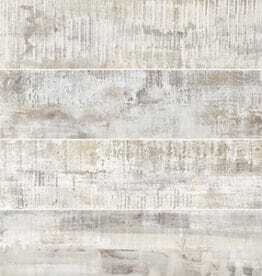 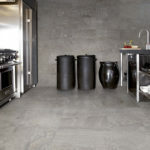 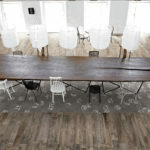 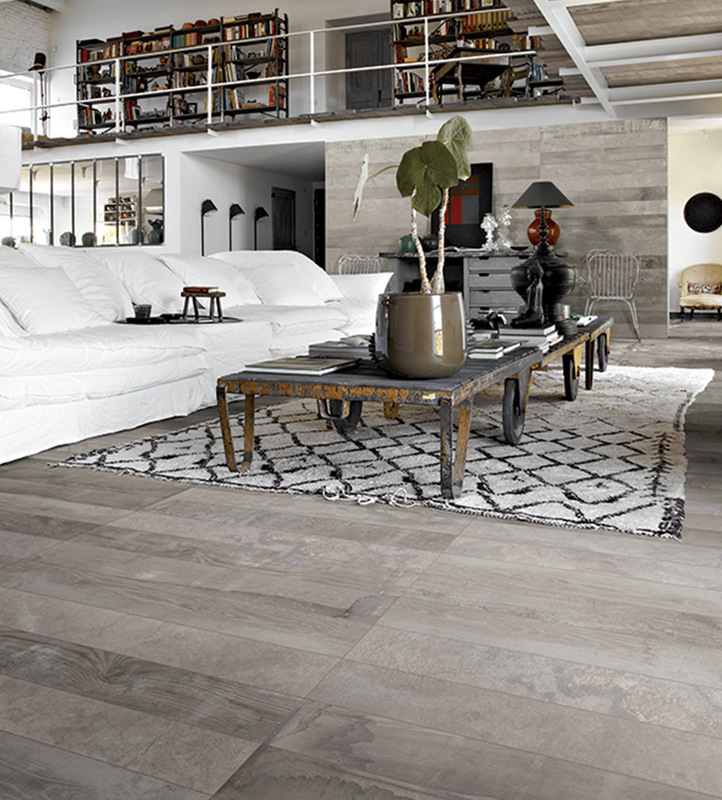 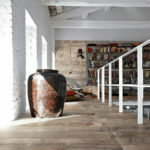 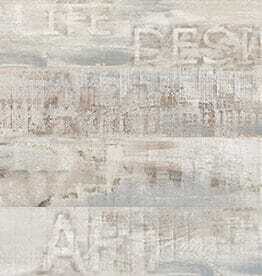 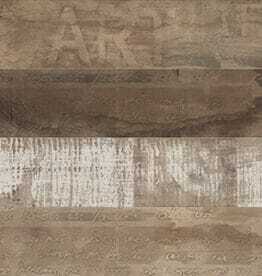 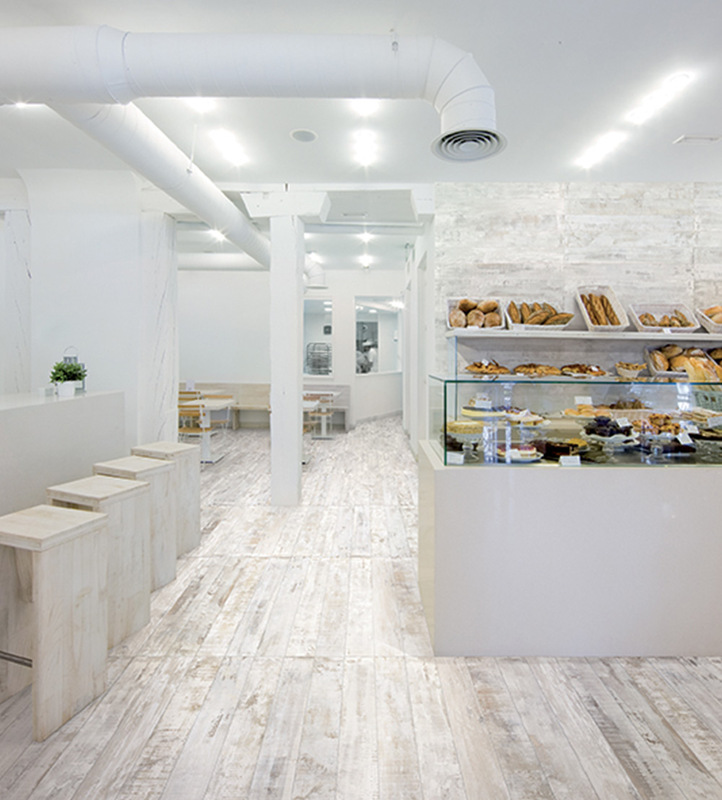 Miscela Grigio and Miscela Sabbia are a combination of the two, blending the look of distressed wood and natural stone.